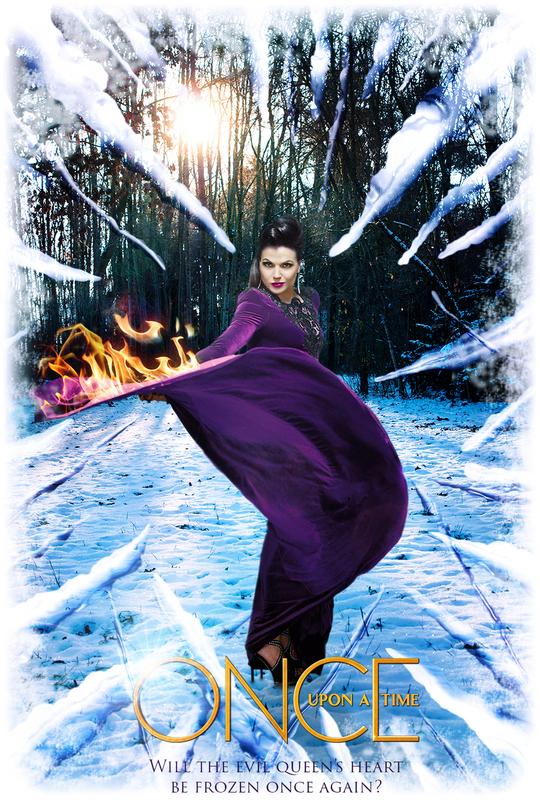 As we all know I'm a huge fan of, "Once Upon a Time" and Season 5 is nearly upon us! In fact it's just around the corner, and starts airing on 27th September 2015! For everyone in the UK, I'm sure your frustrations are high as it no longer airs in Scotland, England and Wales, and after investing in the first three seasons, I know a lot of people are annoyed at the fact we can no longer view it! But fear not, half way through the airing of season 4, it popped up on Netflix UK, and updated the new episodes every week! I'm not sure it's going to carry on for this season, but fingers crossed it will. This season looks to be a more darker and intense one, as Emma Swan is now in possession of Rumpelstiltskin's dreaded, dark dagger. And from the preview's it's turned her from an all round balanced hero to an evil murderess. We also have the appearance of the character Merida from "Brave" which is set out to please #oncers all across the land! So, last year I had the pleasure of working with ABC on making a promotional poster for season 4. It was a great honour to have my work chosen to promote the show for all of their social media sites! I felt like I was a little part of the shows history! It was great, as the poster itself received just shy of 100,000 likes of Facebook alone! Check it out below.